The Healing Power of the Ocean. 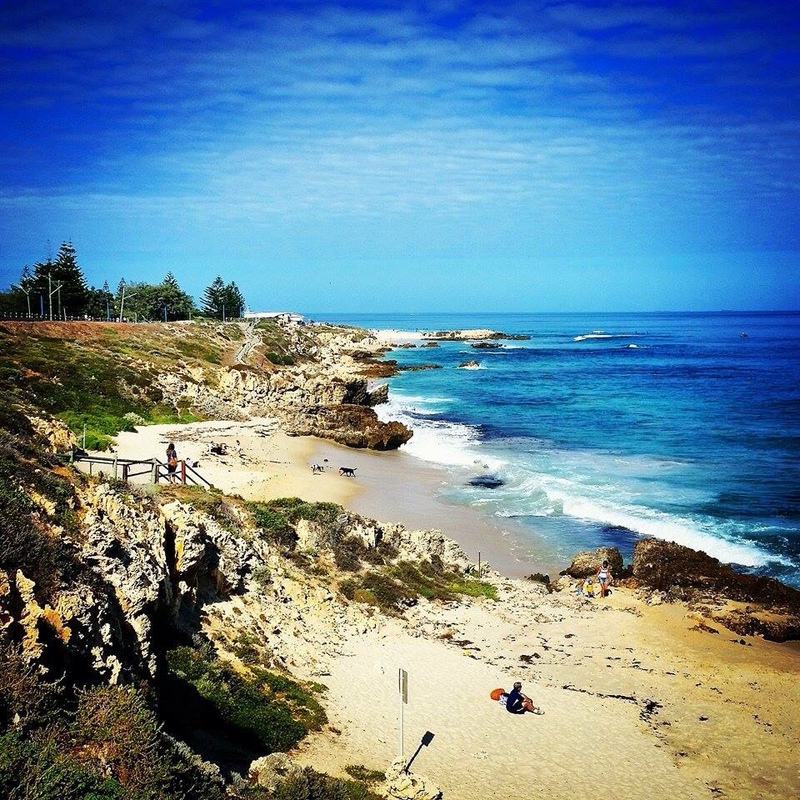 My favourite beach along the West Australian coastline, Trigg Beach. I was born and raised very close to this spot. Swimming and spending time at the beach is one of my favourite past times. It brings me a lot of joy and makes me feel amazing. I want to write and share with you how the beach has been such a healing force in my recovery to losing my family. I was born at the beach; literally conceived on a bed streaming with afternoon sunlight, with panoramic window views of the magical ocean; so my Mum whimsically used to tell me. My love for the ocean it seems was because I was practically made on her shores. I gravitate to the soothing cool of the water, and the daily changing landscape. A gentle reminder in my life that nothing stays the same, everything is always changing evolving and moving forward. 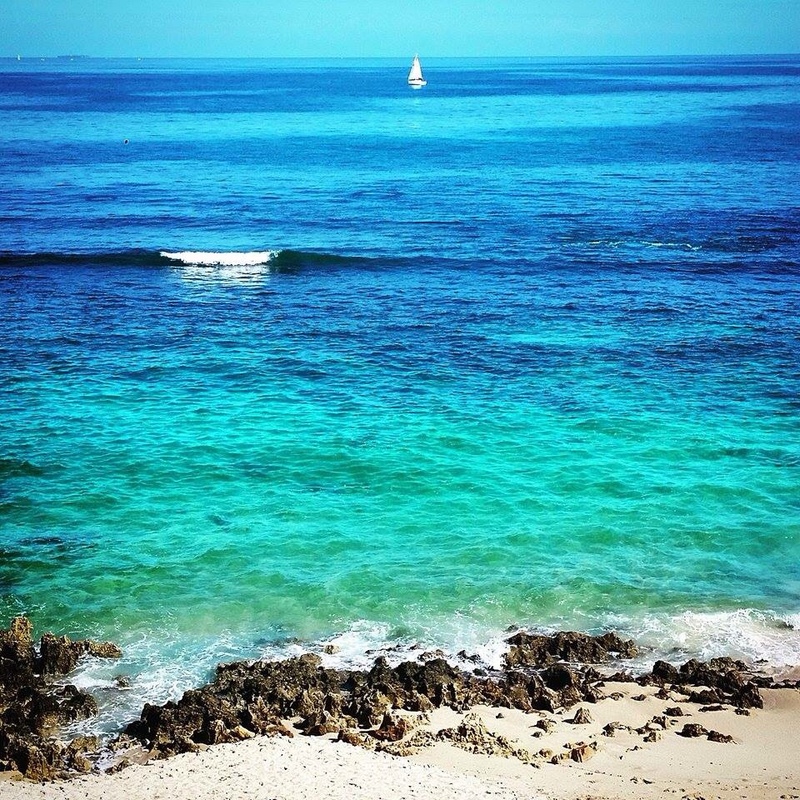 Recently I went snorkelling at a spot called Medams Pool, near Trigg beach, here in my home town of Perth. Medams pool is where I learnt to swim when I was a baby. I honestly had not ever been swimming there as an adult, but after my swim experience there recently, it has become a new favourite place of mine. This is where my Mums final resting place will be, and also the view from where my parents used to live many years ago. Soon it will be my Mums one year anniversary. She has nearly been gone from my life physically for one whole year. This raises much emotional turmoil for me as I love her so dearly. My kind loving and thoughtful Mum is in my thoughts daily. I hear her whisper my name and still feel her loving embrace around, even though she is not her physically I can feel her spirit gently around me. I have found the spot where I want to have her memorial. It has taken me awhile to decide where this would be as there are many places I find special and that remind me of her. However this place is very special, it resonates perfectly, and sings out to me, ‘do it here Anit’. In the late ’70’s, my parents came over from Adelaide as a young couple and bought this amazing place on West coast highway. They renovated and put a lot of love and energy into making a beautiful home. With daily sunsets to admire, and their own personal boat ramp, I feel they had a dream home. Fishing was a big part of their lives, and they would go from the front of the house in their little ‘tinny’ and go out fishing up and down the coastline. Many stories were told to me of their antics; one time the boat lost its mooring and washed far up the coast, a mad scramble ensued to rescue it, with a happy ending thankfully. Sadly the house was sold due to financial pressures they encountered following a down turn in the market; they sold and moved inland and not long after that my parents divorced. Their dream home and dream life together turned into a shambles. I often wonder how life could have been different if they had kept the house? It seems the sequence of events following the sale of this house led to the demise of their relationship. Unfortunately this is all in the past now, I can only learn from their mistakes. So if I happen to ever buy a home on West Coast Highway in Trigg, I will never sell it! There is a path leading down to a picturesque beach cove just opposite the old house in Trigg, this is the place I have chosen for my Mums memorial. It feels perfect. And will be a place I can return to frequently to remember her and my Dad fondly. The beach has always been a special place for me. After every swim I feel energised, invigorated and pure again. The cool salty water has such a magical effect. It’s like you feel recharged by the natural power of the sea. 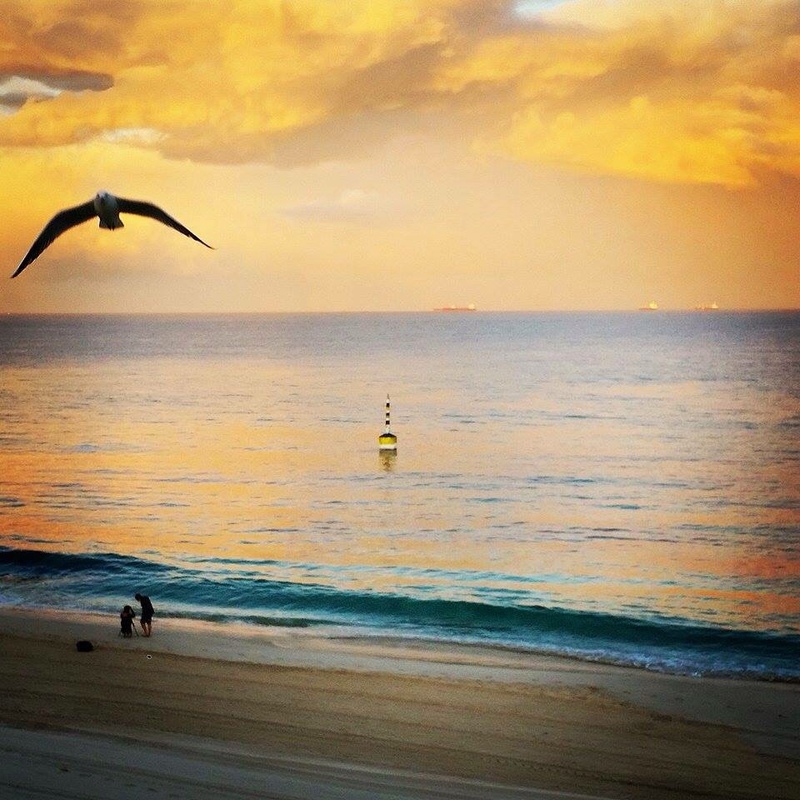 Another favourite beach of mine, Cottesloe Beach, Perth. I have full respect for the ocean and love her very much. At times the ocean can make me feel anxious, I lose my breath and feel the immense intensity by her power waves and strong swell. Again this changes every swim, but I always feel the pulsing power, and ebb and flow of each cyclic wave. Everything is energy, all around us, the ocean is my energetic recharge. It serves to calm me, recharge me, but also to remind me of her power and ability. At times I can feel overwhelmed by her power, if I swim out too far, I feel anxious by the rips, and potential sharks lurking beneath me in the dark water. It is a fine balance between calm and calamity. But it is always alluring, I am drawn to her, and can never resist a refreshing swim every time I go to the beach. 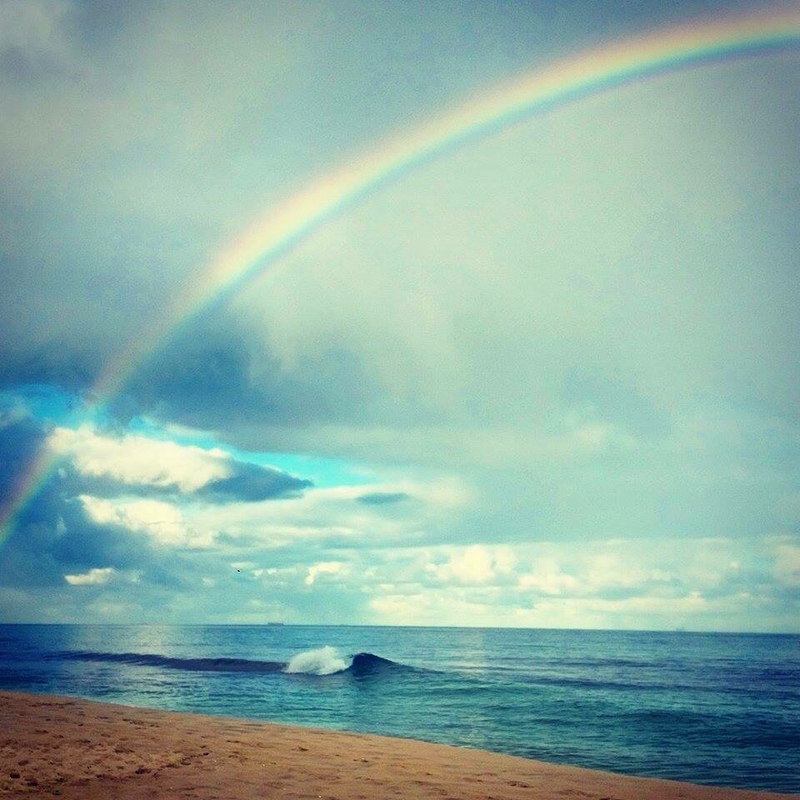 One magic morning at the beach, this rainbow appeared. Awesome! I aim to live by the sea again one day. To walk outside my front door to be by the seaside is a dream I aim to fulfil. How does the beach make you feel? The beach and ocean are very healing for me too. I try to go to the beach at least once a month! ← Mother’s Day when your Mum is Dead.